Hello (new) friends. 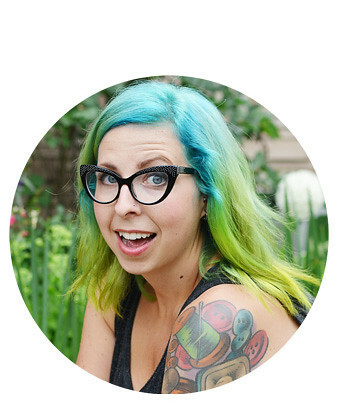 My name is Thursday and I run a little handmade blog known as My Girl Thursday. Most of the time I'm writing about crafting, thrifting and baking, but sometimes I like to wander off and things can get a little bit strange (just kidding, that only happens on Twitter). So, while Elycia is away getting her crazy on in Vegas I thought I'd sneak in the back door and tell you about something sweet. Something sweet and quite delicious, in fact. Tis the season for apples folks! 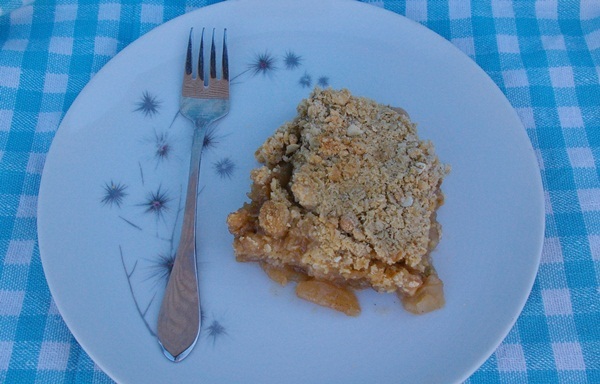 Is there anything better than a perfect apple crisp on a chilly autumn evening? I think not. I've made many a crisp in my day but I've never been able to find the perfect one. This may have changed though. 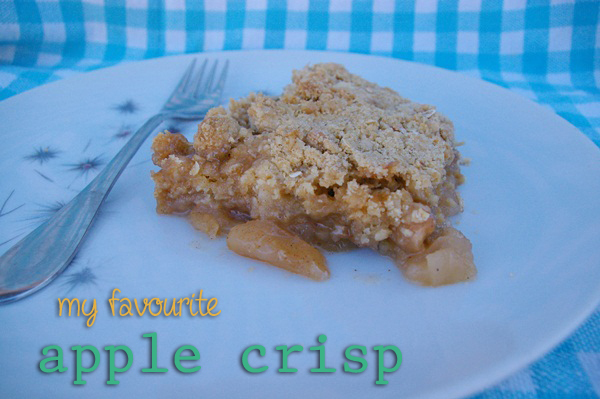 After Googling "best apple crisp" I found this concoction. It has thousands of positive reviews, so I thought "What the heck, let's see what happens." What happens? Bliss happens, friends. This, in my opinion, is the closest I have come to apple crisp perfection. And if you like the card you see above why not stop by my blog to download a copy of your own? Yours will come blank so you can scribble in your favourite recipe. Thanks for reading along. If you stop by the blog please be sure to say hello! 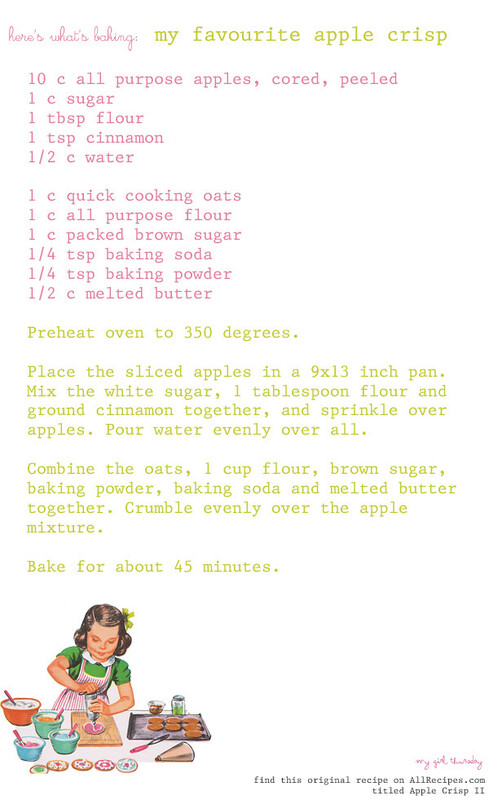 oh man i have been searching for an amazing apple crisp recipe FOREVER! thank you, thank you, thank you! if i stop doing school work long enough this weekend i will totally attempt this! I just put some in the oven. It looks good so far! I thought I had oats, but didnt. Luckily I found 2 packages of cinnamon instant oatmeal :) It was just enough to make 1 cup. cute recipe card! i write my recipes in a notebook and would love to write my best ones on cards! Mmmmm! I loooooooooove apple crisp!